When people hear about carbon monoxide (CO), they immediately think about running vehicles in enclosed spaces. Actually, there’s been quite the buzz in the news lately, for it seems that owners of keyless cars are accidentally leaving their cars running in their garages. Even though car exhaust is the primary factor to CO poisoning, you may be at risk with your central heating and air units. 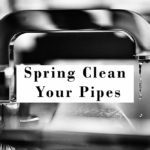 Annual maintenance of your furnace, your water heater, and/or boiler is not only good for keeping your heating appliances in tip-top shape, it’s also essential for safety. According to the Center for Disease Control (CDC), an average of 400 Americans die from CO poisoning each year. 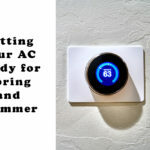 Read below to see how your HVAC can be connected with carbon monoxide, and what steps you can take to prevent carbon monoxide poisoning. Carbon monoxide is an odorless, colorless, and tasteless gas that can be fatal. That’s why this poisonous gas can be scary–you never know when it will rise. Essentially, CO displaces the oxygen in your body, depriving the heart, brain, and other vital organs of oxygen. Carbon monoxide basically suffocates you. It can happen in a matter of minutes. Even the slightest exposure can cause headaches, fatigue, and dizziness. More significant doses can cause loss of consciousness, vomiting, and muscle weakness. Finally, too much CO exposure can be fatal. The most susceptible people include young children and the elderly. Also, living in higher altitudes, such as on the Western Slope, can make you even more likely to be impacted by carbon monoxide poisoning. As we mentioned, the primary cause of carbon monoxide poisoning is from car exhaust. Yet, CO hazards can stem from your heating and cooking appliances. 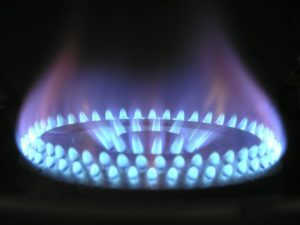 In brief, carbon monoxide is the result of incomplete burning of natural gas or any flammable carbon. This includes fuel, gasoline, propane, coal, and wood. 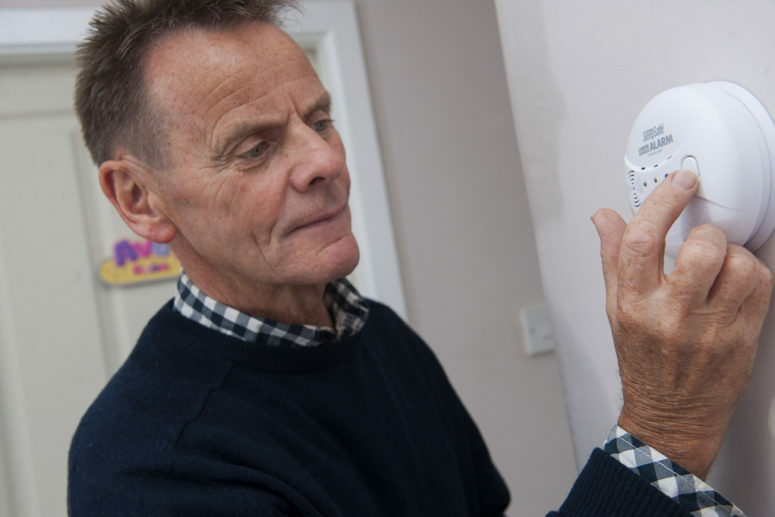 Check your home, do you use any of these methods to heat your household? If you checked ‘yes’ to any of the CO causing heat sources, then annual maintenance is your best line of defense against CO poisoning. 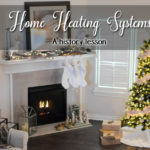 For the most part, your heating appliances are relatively safe when used properly. However, after a while, parts begin to break down. For water heaters, boilers, or furnaces, the heat exchange can wear down and cause carbon monoxide to leak through. Furthermore, closed vents or enclosed spaces significantly increase the exposure to CO gas. When using a cooking range, make sure that you have proper ventilation installed. If not, SAM’s Heating and Air Conditioning can help with that. Being heralded as “The Silent Killer,” the idea of carbon monoxide lurking in your vents can be terrifying. 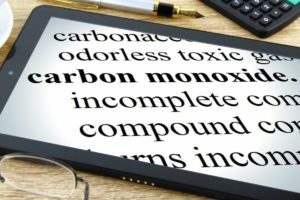 So, how can you protect your family from CO gas poisoning? First, you should install a battery-operated carbon monoxide detector. This can be a quick and cheap step towards preventing illness from exposure to CO. Check the manufacturing label, but a carbon monoxide monitor should last between 5 to 7 years. 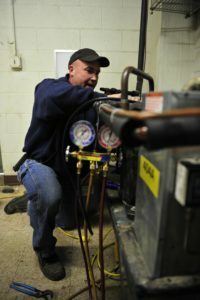 Secondly, hire SAM’s Heating and Air Conditioning to inspect and regularly service your heating appliances. Winter is right around the corner, and you’ll need your furnace or boiler checked anyway. When you’re bundled up on your couch with hot chocolate and the fireplace is blazing, you’ll not only be cozy, but you’ll be safe. Remember, annual furnace or boiler checks help keep your carbon monoxide concerns in check. SAM’S Heating & Air Conditioning only has NATE-Certified Technicians, so you can trust that you will receive only the best service. Call us today for a free service call. PrevSwamp Cooler in Hot Water? 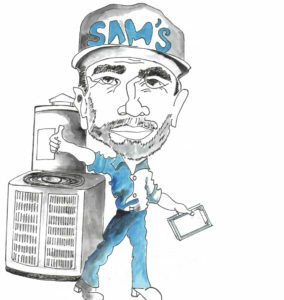 SAM’S Heating & Air Conditioning specializes in all HVAC-related services. Experience The Difference! Our NATE Certified Technicians are happy to serve Montrose, CO and our neighbors in Grand Junction, Clifton, Mesa, Whitewater, Delta, Olathe, Crawford, Austin, Cedaredge, Fruita, Palisade, Hotchkiss, Paonia, Orchard City, Ridgway, Colona, Ouray, Cory, Eckert, and Lazear.